Star Wars: Battlefront Already "Well Into Development"
Star Wars: Battlefront veterans hopefully won't have to wait for much longer to see more from the big-name sci-fi shooter. 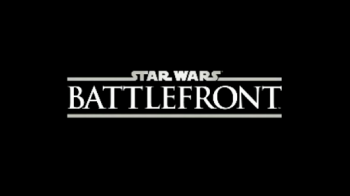 In case you've been living on some backwoods moon of Endor, DICE revealed at this year's E3 that it's working on rebooting the massively popular Star Wars: Battlefront series. All we've seen so far is a short teaser video, but fans are downright frenzied. Those fans will be happy to know that the teaser won't have to hold them over for long - a few comments from EA's latest earnings call indicate that work on the game is moving right along. "We showed 22 seconds of where we're going with [Battlefront] and the fan response was very positive," says EA Games Label president Frank Gibeau. "The DICE team is well into development on that product already, so we feel very bullish about our shooter rotation over the next several years." Gibeau also mentioned that the new game will have "a third-person component," hinting that the series won't be shifting to first-person a la DICE's Battlefield franchise, or at least not entirely. So, progress is being made on the new installment. Not, you know, enough progress to warrant a proper trailer or anything - we'll have to stick with our imaginations on that front for now - but at least it sounds like DICE isn't wasting time on getting fans their Star Wars fix. We'll keep our Bothan spies on the lookout for more information.